Learn more about how Medicare covers Cystic Fibrosis. Article written by Danielle K Roberts, a Medicare insurance expert at Boomer Benefits, where she and her team help educate consumers about Medicare works. Dealing with health insurance is complicated when you have a chronic disorder like cystic fibrosis—and Medicare can be even more complex than most. There are issues of qualifying, how and when to enroll, and what exactly is covered. If you’re navigating life with CF and you are eligible for Medicare (or think you might be), here’s what you should know. Can I qualify for Medicare before age 65? Generally speaking, Medicare is a federal health insurance program for people age 65 and over, but there are situations when you may qualify before your 65th birthday. If CF makes it impossible for you to work, you may be eligible for Social Security Disability Insurance, or SSDI. Once you qualify for SSDI, you are eligible for Medicare after you’ve received payments for two years. Disabled adult children can also qualify for Medicare if they meet the disability requirements. Also, parents must have adequate work credits for the child to qualify for premium-free Part A. They still have to pay any necessary premiums for Parts B or D and ordinary Medicare cost-sharing as well. In some cases, Medicare-eligible children will also qualify for premium-free health care through CHIP, the Children’s Health Insurance Program, until they reach age 18. Children over age 22 who were disabled prior to age 18, and who receive disability benefits, can keep Medicare indefinitely without meeting the Social Security work history requirements generally necessary for Medicare coverage. In most cases, you’re automatically enrolled in Medicare on your 65th birthday, if you’re getting Social Security or Railroad Retirement benefits. If you’re eligible for Medicare because of a CF disability, you’ll be automatically be enrolled after 24 months. How does Medicare work with cystic fibrosis? Unlike employer health insurance, which usually lumps all your coverage—inpatient, outpatient, and prescription drug—into a single policy, Medicare breaks things out into separate components. Part A is often referred to as “hospital insurance,” because it covers any care you receive for cystic fibrosis in a hospital or skilled nursing facility. It also covers some home health care, hospice care, blood transfusions, and even surgical fees and procurement of donor organs if you require a lung transplant, for example. Part B is medical insurance. It covers doctor visits, preventive care, outpatient tests and procedures, and durable medical equipment such as home oxygen. It also covers physical therapy services, such as chest therapy and pulmonary rehab that your doctor may recommend to help you manage your CF. It may also cover genetic testing in certain cases. Part A and Part B also cover any routine charges associated with cystic fibrosis clinical trials, if you choose to participate in one. If you enroll in Original Medicare, you get Part A and Part B automatically. Part C is also known as the Medicare Advantage program. This is a form of Medicare offered by private insurance companies contracted with the government to provide these benefits. By law, Medicare Advantage plans must cover, at a minimum, everything that Original Medicare covers. However, they are also free to add in extra coverage and perks, such as benefits for routine dental and vision care. You can choose either Original Medicare or a Medicare Advantage plan. You’ve probably noticed that there’s no mention of prescription drug coverage under Part A and Part B. That’s because, except in extremely limited situations, outpatient prescription drugs aren’t covered by Original Medicare Parts A or B. Instead, Part D is Medicare’s prescription drug program. Like Medicare Advantage, Part D prescription drug coverage is also offered by private insurance companies. If you choose Original Medicare, you’ll need to buy a separate Part D Prescription Drug Plan if you want help paying for your medications. Part D plans generally cover all medications your doctor may prescribe to treat CF, even newer therapies such as Kalydeco and Orkambi. Most Medicare Advantage plans include Part D benefits, so you get all your Medicare coverage under one simple plan. Medicare Advantage plans come closest to functioning as a typical group insurance plan. If you have employer health insurance, a Medicare Advantage plan will feel very familiar to you. What costs are associated with Medicare coverage of cystic fibrosis? There are separate premiums for Part A and Part B. In 2018, if you don’t qualify for premium-free Part A, you’ll pay up to $422 a month for your hospital coverage. The Part B premium depends on income reported on your tax return from 2 years prior. The standard premium is $134 in 2018, although it may be higher if you’re in a high-income bracket. If you enroll in a Medicare Advantage plan, you’ll continue to pay your Original Medicare premiums plus any additional monthly premium that is required by your plan. Some plans charge no additional premium. There is also cost-sharing for Part A and Part B. There’s a $1,340 deductible for each benefit period under Part A, and you’ll also pay a daily coinsurance amount beginning after your 60th day in the hospital in a benefit period. 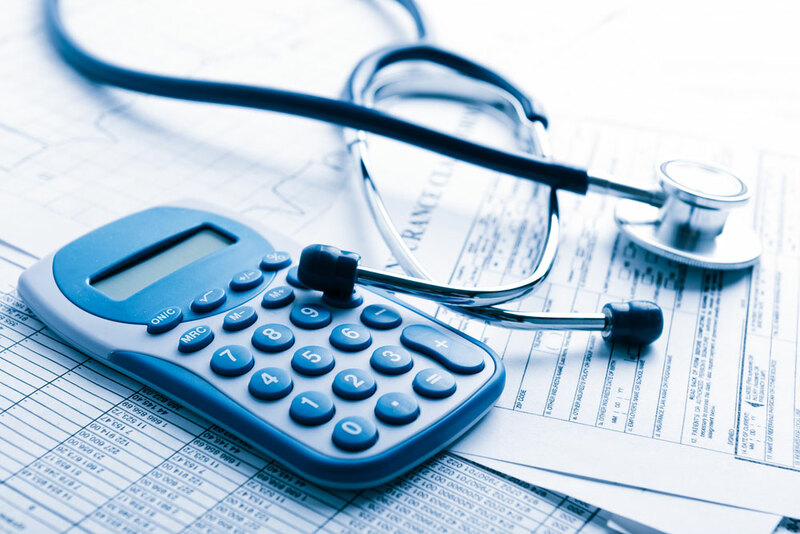 Part B has an annual deductible of $183; you’ll also generally pay 20% of the Medicare-approved amount, which is usually much lower than actual charges. Medicare Advantage and Part D plans have their own premium, deductible, and cost-sharing structures. Most plans use a copay versus a percentage-based coinsurance amount; they may or may not have an annual deductible. Note, however, that depending on the type of plan you choose, you may have to use the plan’s network providers to avoid high out-of-pocket costs. How can I get help with my Medicare costs for cystic fibrosis treatment? If you enroll in Original Medicare, you can purchase a Medicare Supplement Plan, or Medigap, to cover all or part of your out-of-pocket costs under Part A and Part B. Of course, you still have to pay your monthly premiums. Medigap doesn’t work with Medicare Advantage, so you’ll choose one or the other. If you think you’ll want Medigap, it’s important to enroll as soon as you become eligible for Medicare. If you wait, your insurance company can require medical underwriting before they approve you for a plan. A cystic fibrosis diagnosis may disqualify you from getting Medigap. Depending on your income, you may also qualify for Medicare Savings Programs, or MSPs, that cover some or all of your Part A and Part B premiums, deductibles, and coinsurance amounts. You may also qualify for the Extra Help program to help cover your Part D prescription drug costs. This article contains inaccurate information. Children under 18 cannot get Medicare benefits based on a parent’s Social Security work record. However, if a person with CF is deemed disabled by Social Securiry prior to the age of 22 the person may be able to get a Social Security benefit based on the parent’s work record if the parent is retired, dusabled or deceased. After 24 months of getting the benefit the person will become eligible for Medicare. Perhaps “dependent adult children” is a better way of saying it so we’ve made that change – it is by the most common scenario since dependents under 18 have options for Medicaid/CHIP. When we say “if they meet the disability requirements” for SSDI that involves a number of things which could probably be a whole other article in itself. Specifically, you can receive disability benefits on the earnings record of a parent who is entitled to old age or disability benefits or who has died if you are the dependent, unmarried child of that wage earner and you are either under 18, over 18 but have a disability that began before you became 22, or are over 18 and qualify for benefits as a full-time student. We appreciate you pointing this out because perhaps a separate blog post on how to qualify for the SSDI itself would be appropriate in the future! Hi, I’m from Minnesota I go to the U of M for my care, well let’s just say I go to that hospital for every tiny little thing, they think I’m crazy because even the littlest tiny thing I’m callin and making an appointment for. Like I super OC with my CF but I feel like you have to be, like you only get one life one body. But yeah I have Medicare I’ve had it for some years now years, works great once your accepted, but they always make things hard, one month they’ll cover all my vitamins and the next they won’t and try and say they never does then I always have to call my doctor and tell them, so for the last few years I just get all my meds filled and delivered from my hospital just in case they don’t want to cover somthing, the pharmacy at the hospital will cover it with the CF Foundation. I love my hospital let’s jsut say, amazing nurses doctors clinics everything!!! Shout it to the University Of Minnesota Hospital clinics!!! But anyways, now just this month I got a letter stating I wasn’t eligible for SSI and we have to have our doctors over look your case file to see if you still are eligible for SSID and if you don’t return this letter by the 14th your healthcare and SSID will end. Like who are these people do you not think, One day we all wake up and we’re cured, would be a blessing in its own! Like I’m 32 we have a Progressive Disease things don’t get better as we get older, so as we get older we need as much help, support we can get! Sometimes I feel like life shouldn’t have to be this hard, America Needs Universal Healthcare Period.